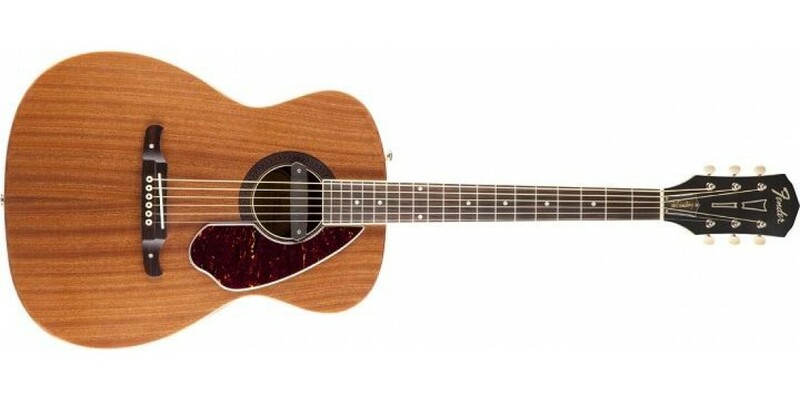 The Fender® Tim Armstrong Deluxe Acoustic-Electric Guitar is a more traditional take on Armstrong’s own '70s Fender® acoustic, with a solid mahogany top, bone nut and saddle, dot fingerboard inlays and Fishman® Neo-D soundhole pickup with end pin jack (just like Armstrong’s modded guitar). And the great accessories—the embossed leather "Let’s Go" strap and the deluxe textured vinyl-covered case with gold interior—were designed by the man himself. 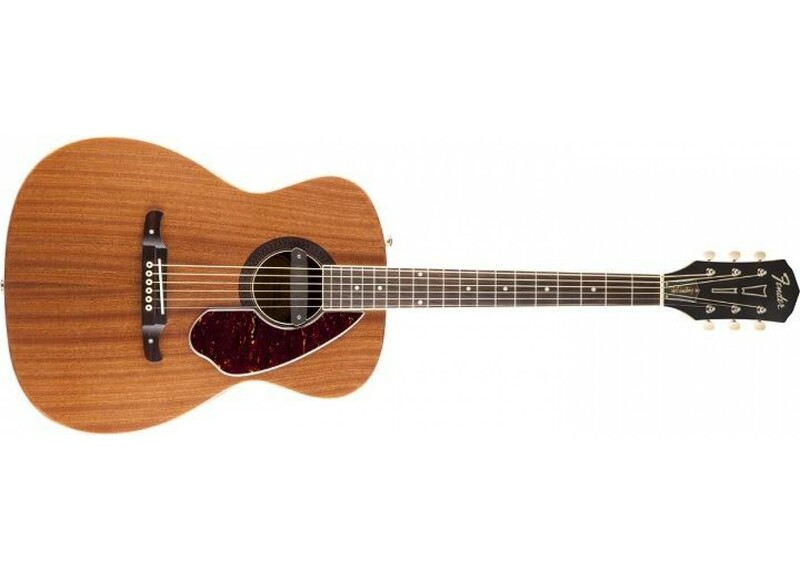 The Fishman Neo-D soundhole system features a Neodymium magnet structure for exceptional string balance and sparkling acoustic clarity it is also very low profile, and features a high impedance design which means it doesn't need a battery.